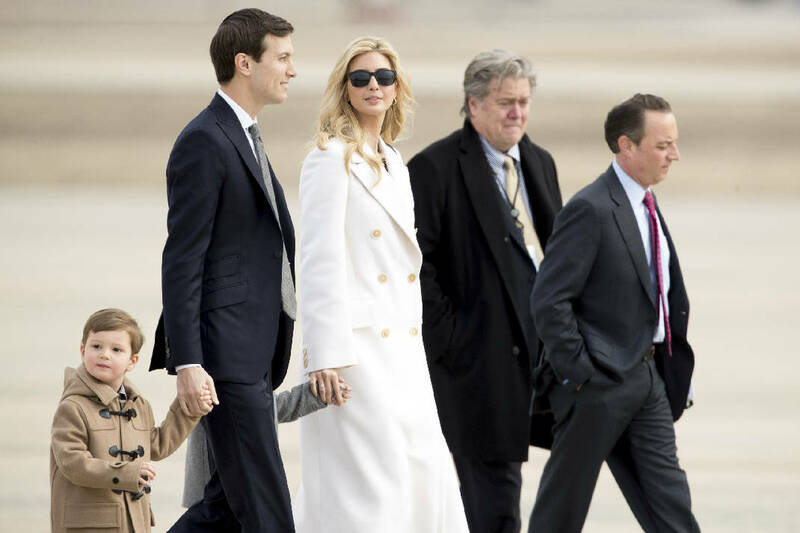 WASHINGTON (AP) - As President Donald Trump begins his second month in office, his team is trying to move past the crush of controversies that overtook his first month and make progress on health care and tax overhauls long sought by Republicans. Both issues thrust Trump, a real estate executive who has never held elected office, into the unfamiliar world of legislating. The president has thus far relied exclusively on executive powers to muscle through policy priorities and has offered few details about what he'll require in any final legislative packages, like how the proposals should be paid for. The White House also sent conflicting signals about whether the president will send Congress his own legislative blueprints or let lawmakers drive the process. White House chief of staff Reince Priebus told The Associated Press that he expects a health care plan to emerge in "the first few days of March." Pressed on whether the plan would be coming from the White House, Priebus said, "We don't work in a vacuum." On Sunday, White House advisers held a three-hour meeting on health care at Trump's South Florida club, their third lengthy discussion on the topic in four days. Gary Cohn, the former Goldman Sachs banker now serving as Trump's top economic adviser, and newly sworn in Treasury Secretary Steve Mnuchin have been leading talks with Republican lawmakers and business leaders on taxes. Neither man has prior government experience. Republicans long blamed Democrats for blocking efforts to overhaul the nation's complicated tax code and make changes to the sweeping 2010 health care law signed by President Barack Obama. But with the GOP now in control of both the White House and Congress, making good on those promises rests almost entirely with the president and his party. To some Republicans' chagrin, both issues were overshadowed during Trump's first month. The president spent more time publicly fighting the media than selling Americans on his vision for a new health care law. Fresh questions emerged about Trump's ties to Russia, particularly after national security adviser Michael Flynn was fired for misleading the White House about his conversations with a Russian envoy. The White House botched the rollout of a refugee and immigration executive order, Trump's most substantive policy initiative to date, and the directive was quickly blocked by the courts. Priebus said the distractions did not slow down work happening behind the scenes on the president's legislative priorities. "Obviously with the White House staff, you're able to walk and chew gum at the same time," Priebus said. "The economic team isn't screwing around with the legal case and the lawyers aren't screwing around with tax reform." One of the biggest questions on Capitol Hill is how involved Trump plans to be in legislative minutia. One GOP leadership aide whose office has been working with the White House described the president as a "big picture guy" and said he expected Trump to defer to Capitol Hill on health care in particular. The aide was not authorized to speak publicly and insisted on anonymity. Priebus said he expects Congress to pass both a tax package and legislation repealing and replacing Obama's health care law by the end of the year. But the White House's outward confidence belies major roadblocks on both matters. After spending years criticizing "Obamacare," Republicans are grappling with how to replace it and pay for a new law. While some lawmakers worry about getting blamed for taking health insurance away from millions of people, others worry the party won't go far enough in upending the current system. "My worry now is that many people are talking about a partial repeal of Obamacare," Rep. Rand Paul, R-Ky., said. "If you only repeal part of it and you leave it some sort of Obamacare light, which some are talking about, my fear is the situation actually gets worse." Trump has said he wants to keep popular provisions like guaranteeing coverage for people with pre-existing medical conditions and allowing young people to stay on their parents' insurance plans until age 26. He's also raised the prospect of allowing people to buy insurance across states lines, which is not part of the law. On taxes, Republicans have a potentially more vexing impasse. House Republicans want to scrap the 35 percent tax on corporate profits, which is riddled with exemptions, deductions and credits, and replace it with a "border adjustment tax." The system would tax all imports coming into the U.S., but exclude exports from taxation. House Speaker Paul Ryan's office has been vigorously promoting the idea to Trump, who has called the system "too complicated." Some House aides have privately voiced optimism that the White House is coming around, though Priebus would only say that border adjustment was "an option we're all discussing and debating." The president has said he plans to release a "phenomenal" tax plan in the coming weeks.